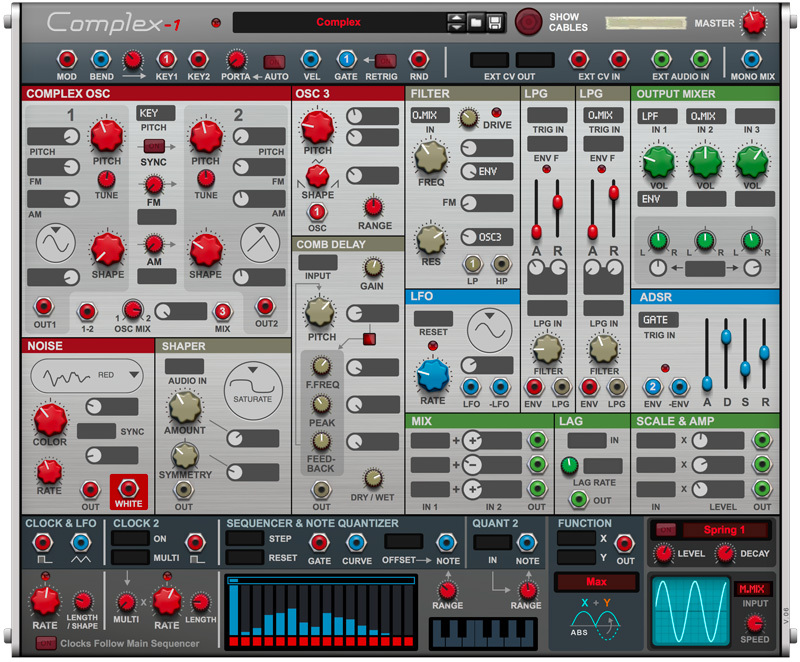 Dive into the weird and wonderful world of modular synthesis with Complex-1, a new Rack Extension instrument from Propellerhead Software. 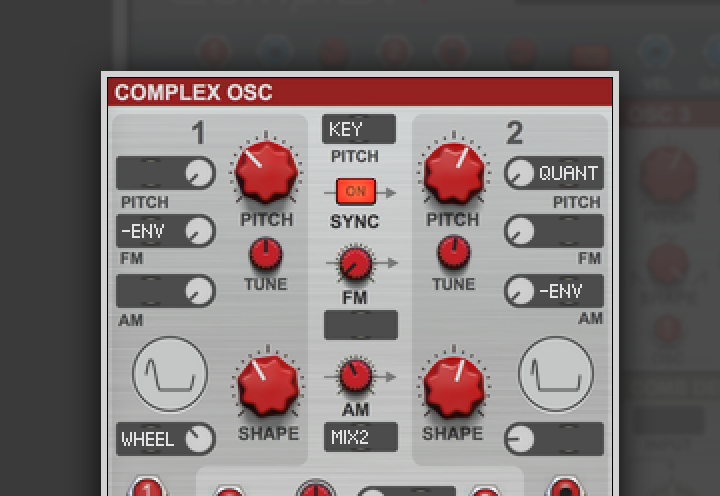 The modules in Complex-1 bring a mix of modular synth ideologies to the Reason Rack. The Complex Oscillator, Low Pass Gates and Shaper modules, build on the works on Don Buchla (or West Coast style) and the regular Oscillator and ladder design Filter module, derive more from the Bob Moog school of synth design. Combine them anyway you like and craft your very own unique synth sounds. If you’re a seasoned modular synth enthusiast, you can dive right in. If this kind synth is new to you, it can look a bit daunting, but it’s actually surprisingly easy to get going. Load up any of the included patches to get you going, and start your sonic exploration there. Nothing can break, and if things go weird (like, in a bad way), there’s the undo button to your rescue. Most people associate modular synths with lab coats and glitchy noise soundscapes, but if all you want is a beefy bass - let Complex-1 surprise you. Its modular madness aside, it’s also a really awesome-sounding synthesizer, capable of perfectly playable instrument sounds and yes, beefy basses too. Work clutter free or with all the cables out - it’s up to you! When you click a patch point, patch mode comes on momentarily. The Buchla-inspired dual oscillator has independent, sweepable waveforms. 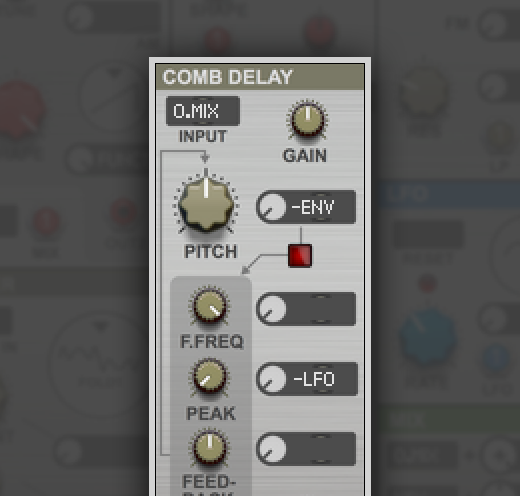 This module’s built-in FM & AM options creates the complex, rich waveforms that inspired its name. It’s frequency span is huge, ranging from sub-sonic to ultra-sonic. For extra flavor, try the 1-2 output, where the waveform in oscillator 2 is subtracted from the one produced by oscillator 1. 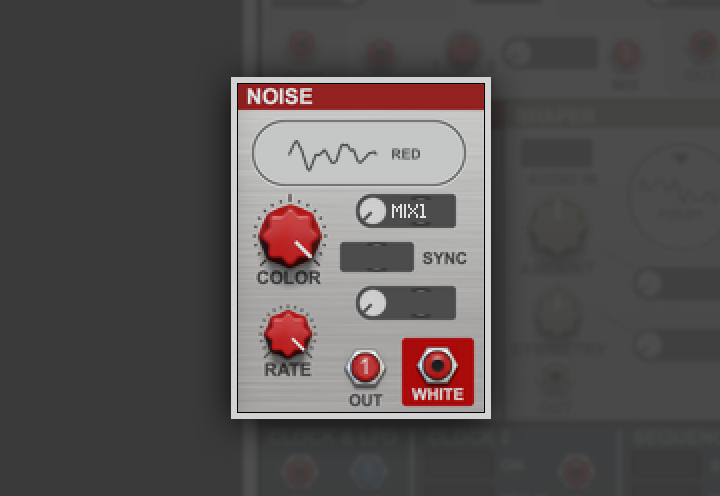 The multi-mode noise generator delivers anything from classic white noise to tonal variants that can act as an oscillator. This is a traditional analog oscillator that also has a wide frequency range. This means it’s useful both to produce sound, or as a modulation source. A classic comb filter, but with a twist. 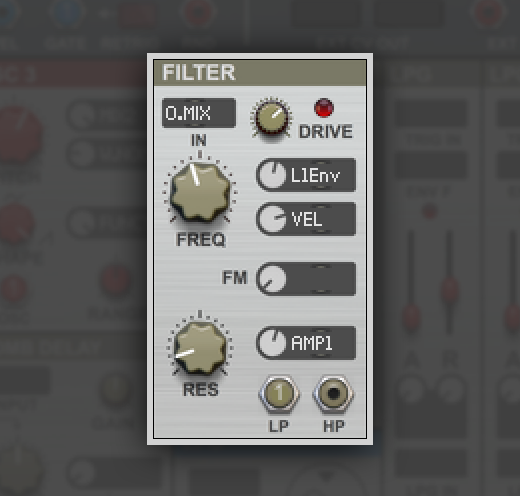 Its delay times can be tuned to clean notes, meaning you can play this filter as an instrument. Great for string-like sounds and weird sound effects. This Moog-style ladder filter has excellent audio rate modulation capabilities, a powerful drive and simultaneous High Pass and Low Pass outputs. LPG stands for Low Pass Gate, and Complex-1 has two of them. 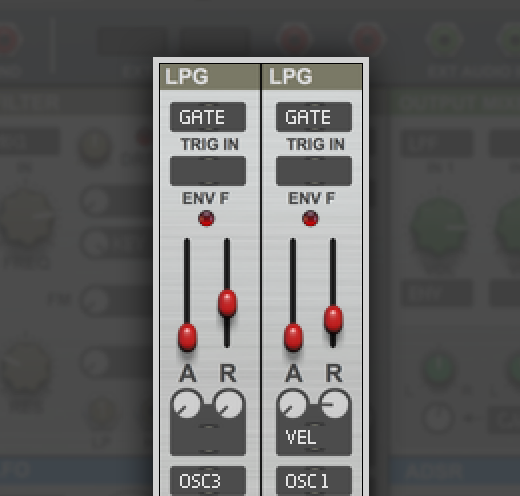 This combination of lowpass filter and VCA is a modular classic from the west coast school of thought and it’s great for percussive sounds. It can also work as an envelope follower with independent attack and release. 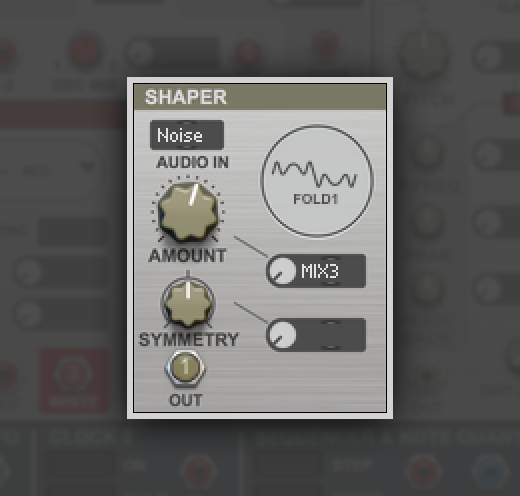 This is a wave shaper unit capable of distortion, folding and other ways to add harmonics to your sound. 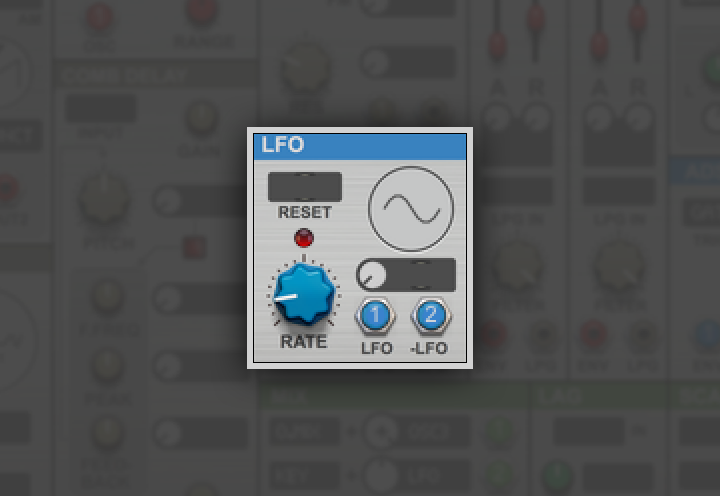 A very normal but very useful LFO unit. A traditional envelope with attack, decay, sustain and release. 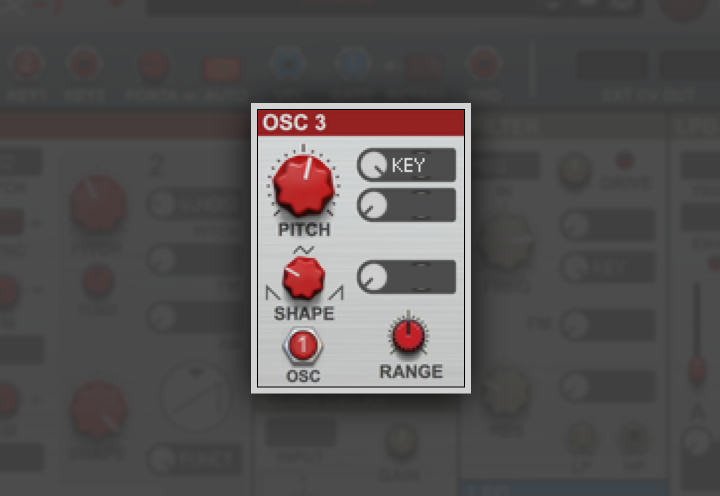 Perfect for classic synth patches you'll play from your keyboard. 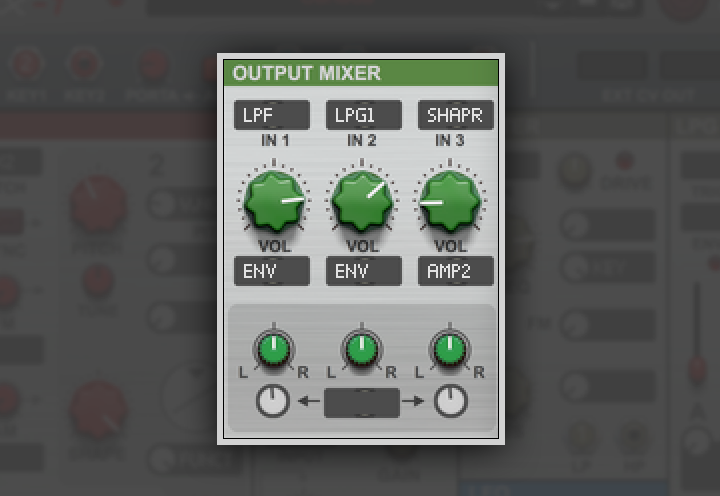 As the name suggests, this is where you mix the outgoing signal from up to three sources. Volume and pan can be controlled from CV. The mix unit can mix two signals and also generate offset and static voltages as well as inverting signals. A lag unit takes an incoming signal and smooths it out. 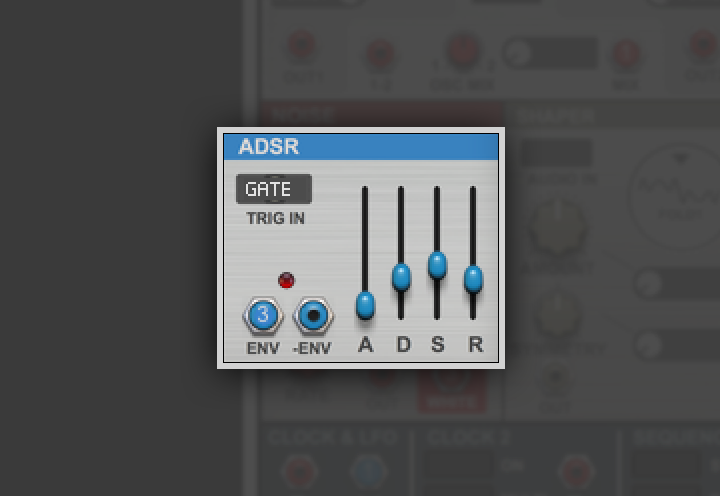 Great for creating portamento-type effects. This unit can multiply signals with other signals to create evolving, expressive sounds. These clocks can trig and sync various aspects of Complex-1, including LFOs and the sequencer. A traditional step sequencer to create melodic parts, arpeggios or to control modulation of just about anything in Complex-1. You can turn any signal into melodies with the quantizer. It will quantize any value to it’s nearest note value from a custom scale of notes. If the other modules don’t freak you out, then geek out with the Function module. Input two signals, select an algorithm and get a logically treated signal back. Algorithms include MAX (returns the higher signal), X>Y (returns a signal when X is greater than Y), etc. With an instrument as capable as Complex-1, it’s easy to get lost in the waves. With this handy oscilloscope, you get a visual readout on what you are doing. This dynamic oscilloscope will automatically show you the waveform of whatever signal you are patching, or monitor the output of your choice.